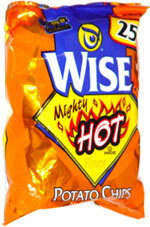 Taste test: These are good, tasty barbecue chips, with an impressive kick of heat. Not among the hottest in the world, but for one of the major brands, it's an impressive heat. Smell test: A good hot smell, like a mixture of chili powder and barbecue. 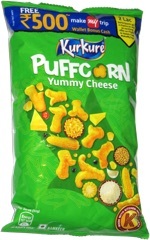 This snack was discovered by Jeremy at Stadium Convenience & Deli, Allston, Massachusetts. Review published .